Budgetrac’s simplified technology is easy to use, yet flexible and robust. The Budgetrac team brings together 100 years combined experience in the real estate industry, in order to bring you the most up-to-the-date software available for real estate developers and property managers. As the creators of America’s leading software for real estate developers, the Budgetrac Team provides the best choices in technology today. With its extensive experience in real estate software, Budgetrac software uses today’s technology to simplify your business operations and lower your cost. From lender fundings to tenant billings. Budgetrac easily handles all aspects of development, from pre-development cost to final funding, from project construction to property management. Budgetrac sets a new standard for real estate development software. Budgetrac is the one system that keeps track of both the front line and bottom line. Budgetrac Commitment feature manages and assists with controlling your costs by tracking your retainage and preventing over-payment. 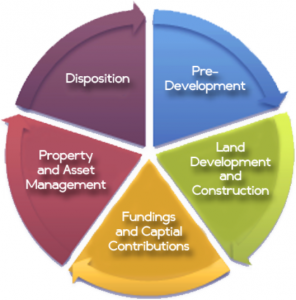 To ensure you get the most from your Budgetrac system, Anton real estate development specialists will consult with you to build and implement the perfect solution for your business. Our team stays committed to your success with expert training and efficient HelpDESK support services. Contact us for more info on Budgetrac!